VK2JI – SOTA in VK2 – 9th. March 2014 VK2 /CT-043 (Mt.Tomah), CT-012 (Glowworm Tunnel Road) & CT-007 (Mt. Lambie). 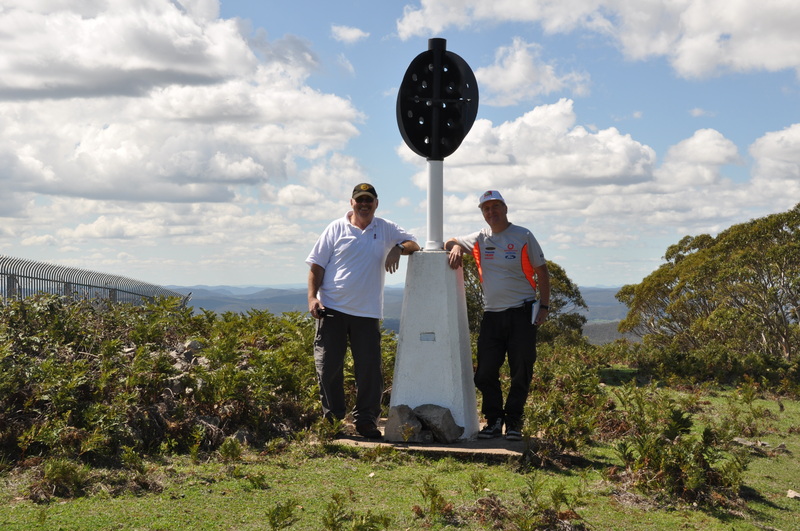 Last SOTA actvation in VK for VK2JI. As I was to leave Australia permanently on March 14th. I managed to convince Rod VK2LAX to do a 3 summit activation before I left (I had already sold the Peugeot 308, and the fact that Rod has a 4WD makes the activations more likely to be successful in any case). Originally this exercise had been planned for the preceding weekend however abysmal weather meant that we postponed. During the week up to the 9th. the weather forecast changed daily however on the day, the weather was perfect, dry, mid twenties and a slight breeze. Two of the planned summits I had already activated in 2013, so I knew what to expect. 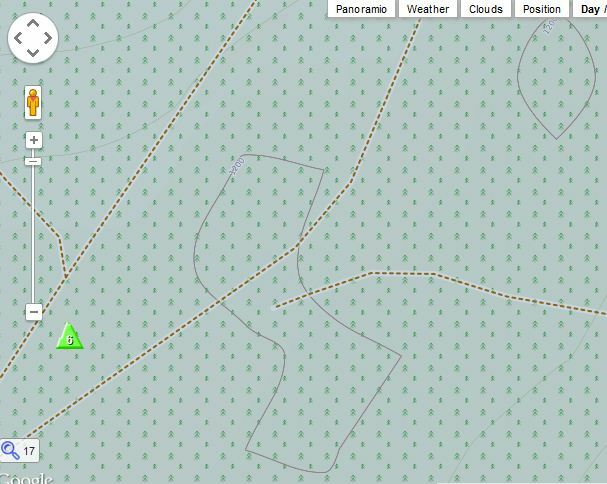 The first (Mount Tomah) suffers badly from RF noise from the radio relay towers,so I was eager to try a different location within the activation zone. I am glad to report, this worked out well. The second summit (CT-012), I also wanted to try a different spot as the summit location indicated in the ARM and so in SOTA Maps is in fact below where the actual summit is and we managed to locate ourselves this time at the actual summit. The third summit, Mt. Lambie, I had not activated before and was somewhat worried that we might find we could not access the site, having driven to about 20 kilometres from Bathhurst (i.e. a long way from Sydney and even further from the NSW Central Coast). Access turned out to be easy with a reasonable, publicly accessible track with just two gates to open and close to keep the cows in. This has to be one of the most accessible 8 point SOTA summits anywhere! As stated above, Mt Tomah at the summit has a radio tower that emits a high level of noise on the HF bands. So the intention this trip was to find a location as far away from the radio towers as possible while still being within the activation zone. Mapping the 25m vertical drop area, showed that the AZ goes right up to the main “Bells Line of Road” road and indeed a little way on the other side. This puts the “Mt Tomah rest area” nicely within the AZ and it provides some concrete shelters and tables to set up at. As this location is on the edge of the AZ, a few steps down into the bushes (the land drops off quite steeply) takes you out of the AZ. I am glad to report this new location does not suffer any RF noise from the radio tower and only minimal electrical noise from passing traffic. In this location we set up Rods FT857D and his new 10m squiddy with my SOTABeams linked dipole so that we could operate 40m and 30m. As can be seen from the contour map, the location of CT-012 is not shown as on the actual summit, so we decided to carry on up the road a little until we actually got to the top and then set up a little away from the car and the track, which was lucky as there turned out to be a lot of motorbikes out on the day, racing along glowwurm tunnel road. This time we set up the QRP station, just running 5w from my FT817 and again the SOTABeams linked dipole. With the lower power, we got as expected lower signal reports however we made many good contacts from this location. Given the nature of this plateau, there is no practical way to walk out of the AZ and back in, so in this case we followed the MT guidance of ensuring we were well away from the vehicle, gaining no possible support of any kind from it. Mount Lambie is about 20km from Bathurst, so not a “local summit” however a really good (and simple) 8 point, summit to activate. Access is from the Great Western Highway up Bonaventure road, two gates to open and close, making sure not to release the cows into the next field. This is public access all the way to the top. The AZ coincides roughly with the last (second) gate. As this was our last activation of the day and the furthest from home, we were eager to get on air and bag the needed contacts. The mast was first planned to be fastened to the side of the trig point but this turned out not to be practical and instead a small tree was found to serve as support. Being someway away from the trees the ends of the strings on the ends of the SOTABeams linked dipole were held in place by putting one of the many stones in the area on them. Again lots of good contacts. If anyone is staying in this area, this summit would be great for early evening DX SOTA contacts into Europe but as we had a 3.5hr+ trip home it was not possible for us. VK2IB/P3 Bernard S2S on VK3/VE-169 Once before and once after UTC rollover. 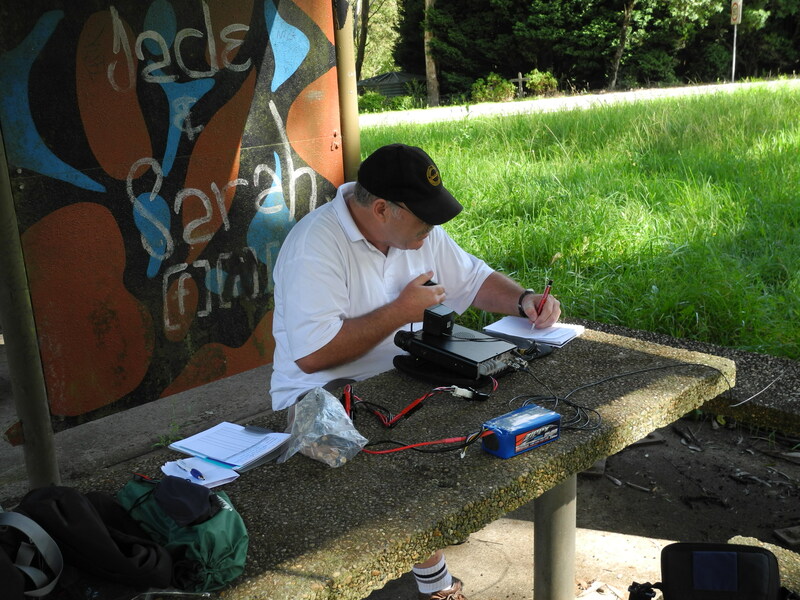 This entry was posted in SOTA and tagged SOTA, VK2/HU-054, VK2/HU-080, VK2JI by VK2JI DD5LP G8GLM. Bookmark the permalink.